The pilot of a Canadian plane loaded with 290 pounds of cocaine that was forced to land at Ohio University’s airport was sentenced Friday to eight years in prison. Sylvain Desjardins, 48, could have faced a mandatory minimum of 12 years in prison had he not pleaded guilty. U.S. District Judge Algenon A. Marbley considered Desjardins’ acceptance of responsibility when imposing sentence, Assistant U.S. Attorney Mike Hunter said. Desjardin must serve three years on supervised release after prison, during which he could be deported to Canada. His co-defendant and passenger in the airplane, David Ayotte, 46, was sentenced to five years and three months in prison earlier this month. Their plane was headed to Canada March 29 when it developed engine trouble and made an emergency landing at Ohio University’s Gordon K. Bush Airport. Authorities said the 132 bundles of cocaine had been stowed on one side of the aircraft, causing an engine to work harder and overheat while trying to keep the plane level. U.S. Customs and Border Protection had been tracking the plane after it left the Bahamas and became suspicious when it diverted to the OU airport. The plane was destined for Ontario, Canada, officials said. The plane was met at the airport by Athens County deputies, university police officers and U.S. Immigration and Customs Enforcement agents. Both men, who are from Mirabel, a suburb of Montreal, pleaded guilty to possession with the intent to distribute cocaine. Desjardins also agreed to forfeit the plane, a 1969 twin-engine Piper Navajo, to the U.S. government. Here's where the cocaine had been hidden. From the Athens County Sheriff. “A review of various database revealed that both Desjardins and Ayotte have prior convictions for drug offenses in Canada,” a complaint filed Thursday in the United States District Court for the Southern District, Eastern Division of Ohio. 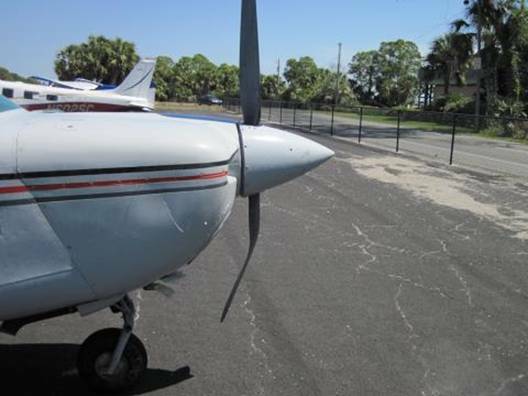 The investigation began when Customs and Border Protection’s Air and Marine Operations Center in Riverside, California, detected an aircraft north of Grand Bahama International Airport. 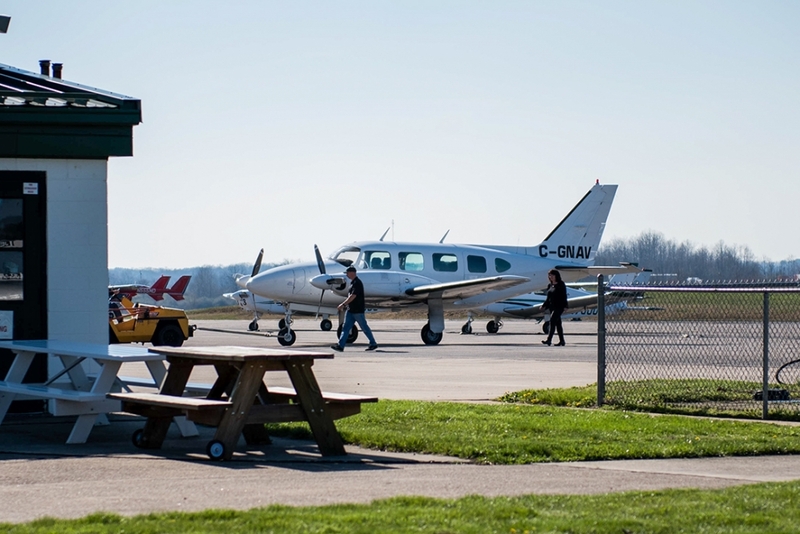 Investigators identified the plain on a flight plan from Windsor, Ontario, Canada. “The aircraft was observed diverting to Ohio University, Ohio, Gordon K. Bush Airport, which is not a Port of Entry,” court documents stated. The pilot told investigators he was having mechanical issues, causing his landing in Albany. 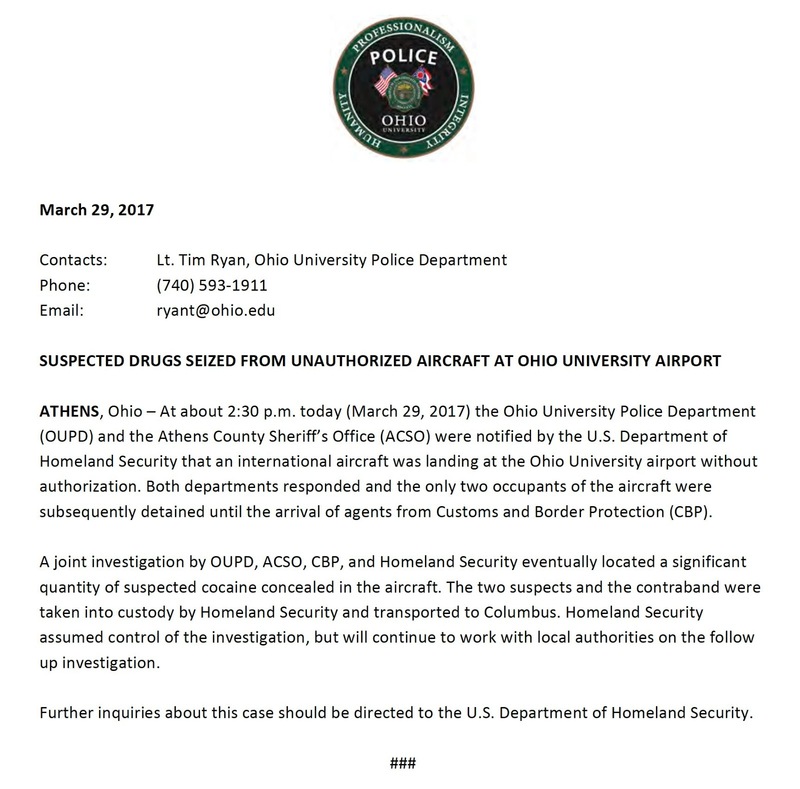 Two men have been arrested on federal drug charges after landing a plane full of suspected drugs at Ohio University’s airport on Wednesday. 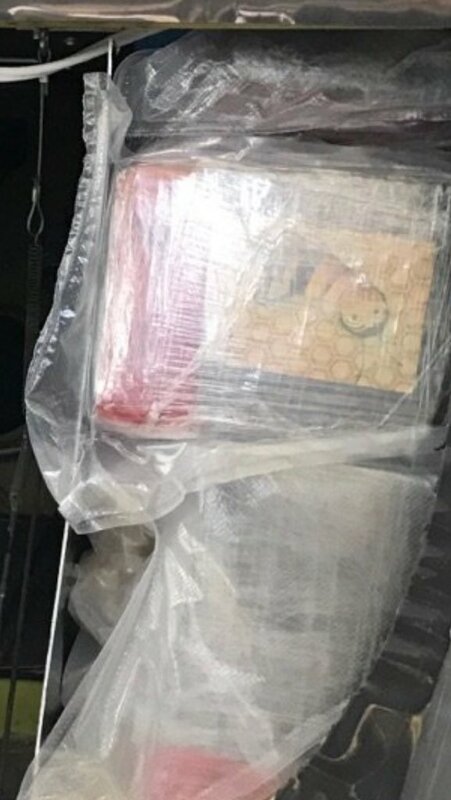 Sylvain Desjardins and David Ayotte, both Canadian nationals, are in the custody of United States Immigration and Customs Enforcement (ICE) after being found carrying nearly 300 lbs. of suspected cocaine on a Piper Navajo twin-engine aircraft, according to a release by ICE. Both men have appeared in federal court in Columbus on charges of possession with the intent to distribute more than five kilograms of cocaine. The arrests were made after the plane landed at the Gordon K. Bush Airport on Wednesday afternoon. The Athens County Sheriff and OU Police Department were called by U.S. Customs and Border Protection “to assist with an aircraft about to land illegally in the United States,” the ICE release stated. 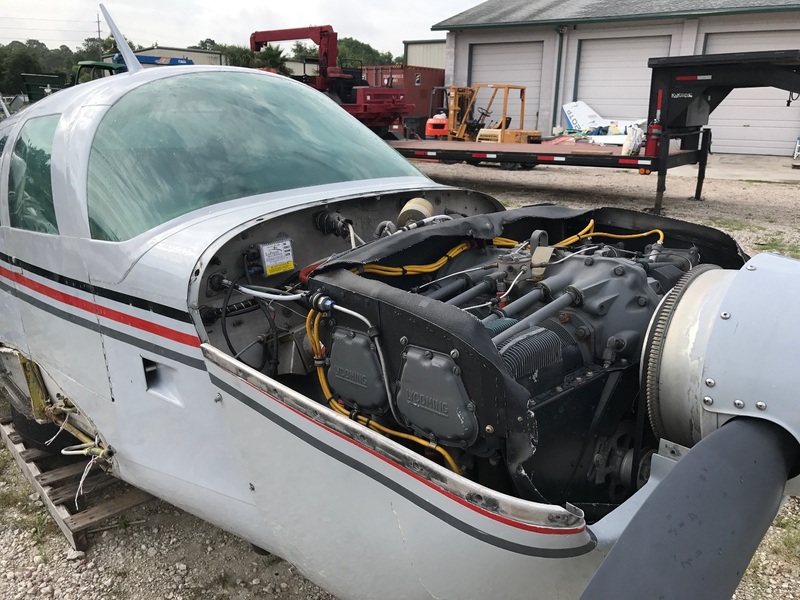 Athens County Sheriff Rodney Smith said deputies detained the pilot and passenger until Homeland Security investigators could arrive, according to previous WOUB reporting. 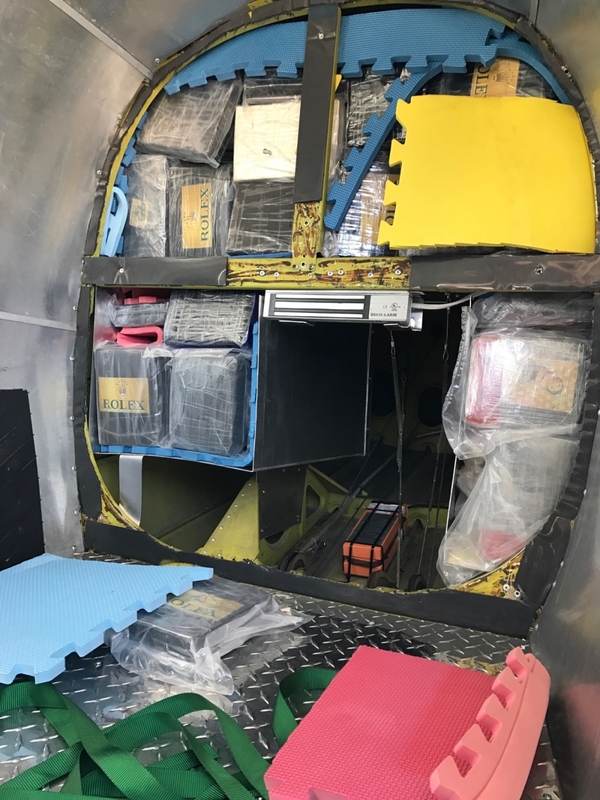 As Customs and Border Protection Air Interdiction and Homeland Security Interdiction agents were interviewing the plane occupants, a canine unit “alerted to the aircraft which resulted in the discovery of nearly 300 lbs. of a powdery substance which was field-tested positive as cocaine,” the release stated. Homeland Security is continuing to investigate the “drug-smuggling scheme,” ICE stated in the release. “The agency is working the case jointly with (Customs and Border Protection), the Ohio University Police Department and the Athens County Sheriff’s Office,” according to the release. Canadian authorities have also been contacted to assist. Sylvain Desjardins, of Mirabel, 47, and David Ayotte, also of Mirabel were arrested in Ohio and face charges of possession of 300 pounds of cocaine with intent to distribute. The two Canadians who made an emergency landing at Ohio University's airport Wednesday face up to life in prison if convicted of intent to distribute the more than 290 pounds of cocaine concealed in the aircraft's tail section. The amount likely is the largest cocaine seizure in southern Ohio, said U.S. Attorney Benjamin Glassman said. The charges were read to Sylvain Desjardins, 47, and David Ayotte, 45, both of Mirabel, a suburb of Montreal, by U.S. District Court Magistrate Norah McCann King during a hearing in Columbus on Thursday. A background search showed that both men had prior convictions for drug offenses, according to an affidavit filed by a Homeland Security Investigations agent. The only records that could be found Thursday in Canadian courts was for Desjardins, who has a criminal record in Quebec that includes convictions for drug trafficking. In 1998, he was sentenced to two years in prison after pleading guilty to possession with intent to trafficking heroin. In 2002, he was charged in connection with a marijuana-growing operation. Two years later, he pleaded guilty to producing marijuana and to a possession charge. He was sentenced in 2005 to 14 months in prison. 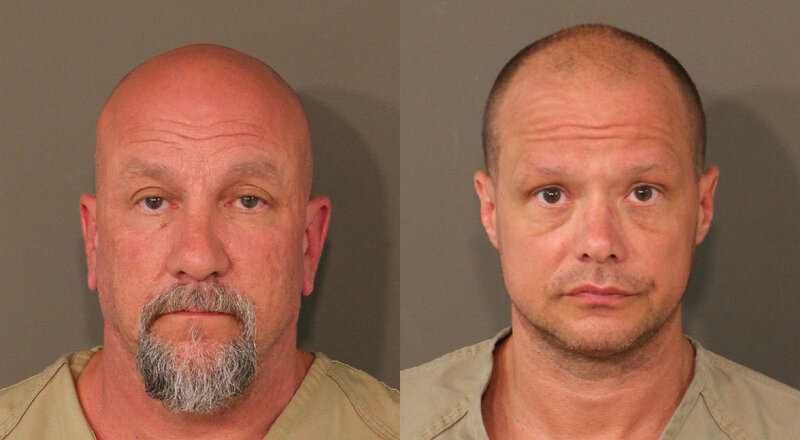 Both men are being held in the Franklin County jail pending a detention hearing on Monday. A preliminary hearing to determine whether there's enough evidence to proceed with the prosecution is scheduled for April 13. The discussion on Thursday was translated into French for Ayotte. Dejardins understands English. Both are Canadian citizens. Desjardins is the owner of the Piper PA-31 Navajo and was flying the plane from the Bahamas to Windsor, Canada, when it was detected north of the islands by the U.S. Customs and Border Protection Air and Marine Operations Center, based in Riverside, California. The center noticed the plane diverted to Gordon K. Bush Ohio University Airport because of mechanical issues. Because the airport is not a port of entry with a customs station, the center notified the Athens County sheriff's office. It also contacted Desjardins of its intent to search his plane. Desjardins consented and agents discovered 132 bundles, each weighing 1 kilogram. The contents tested positive for cocaine. Glassman applauded the quick cooperation of the federal agencies with local authorities that led to the seizure and the arrest. In court Thursday, Desjardin and Ayotte answered yes and no questions, including wanting the court to notify Canadian authorities of their arrests. 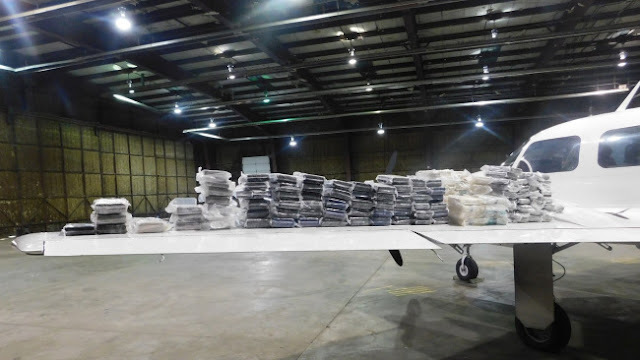 Two men from Mirabel were charged Thursday in a U.S. federal court after authorities in Ohio discovered more than 90 kilograms of cocaine inside their small airplane when it was forced to make an emergency landing in the United States. The plane landed at Ohio University Airport, in Albany, Ohio, Wednesday afternoon. According to Canadian aviation records, the plane is based in Lachute and is registered to Sylvain Desjardins, of Mirabel. Desjardins, 47, and the other man who was on board, David Ayotte, also of Mirabel, were arrested and face charges of possession of more than five kilograms of cocaine with intent to distribute. 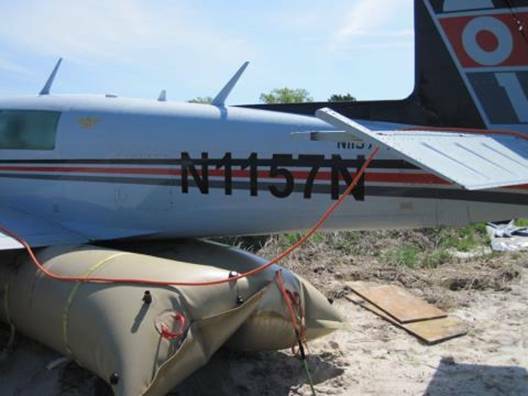 According to the criminal complaint filed in the U.S. District Court in southern Ohio on Thursday, the aircraft, a Piper PA-31, was detected by U.S. Customs and Border Protection on Wednesday 18 miles north of an airport in the Bahamas. It had a flight plan to land in Windsor, Ont., but diverted to the airport in Ohio during the flight, and Desjardins was the pilot. Both men will be detained for a bail hearing on Monday. The cocaine was seized after the plane made the unplanned landing. Found were “132 bundles (each weighing approximately 1 kilogram (each),” according to the criminal complaint. The U.S. Department of Homeland Security took over after the plane landed. Desjardins has a criminal record in Quebec that includes convictions for drug trafficking. In 1998, he was sentenced to a two-year prison term after having pleaded guilty, at the Montreal courthouse, to two counts related to possession with the intent to traffic in heroin. In 2002, he was arrested, following an investigation by the RCMP detachment based in St-Jérôme, and was charged in connection with a marijuana grow-operation. Two years later, on Nov. 30, 2004, he pleaded guilty to producing marijuana and to a related possession charge. He was sentenced in 2005 to a 14-month prison term. ALBANY, Ohio - UPDATE: Homeland Security Investigations (HSI) says investigators recovered about 132 kilos, nearly 300 pounds, of cocaine from an unauthorized plane that landed at the Ohio University airport Wednesday. 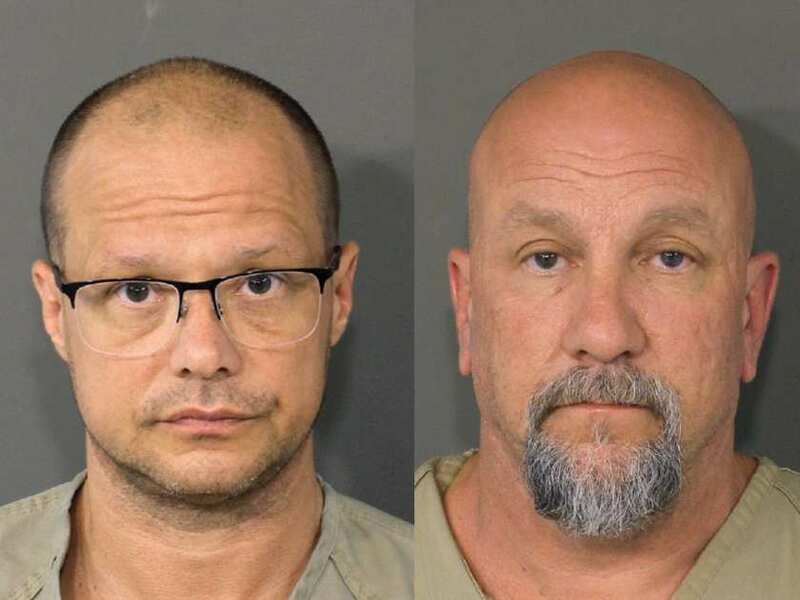 Court documents show the suspects, identified as Sylvain Desjardins and David Ayotte, were traveling from the Bahamas to Canada when a mechanical issued forced them to land at Ohio University Airport. 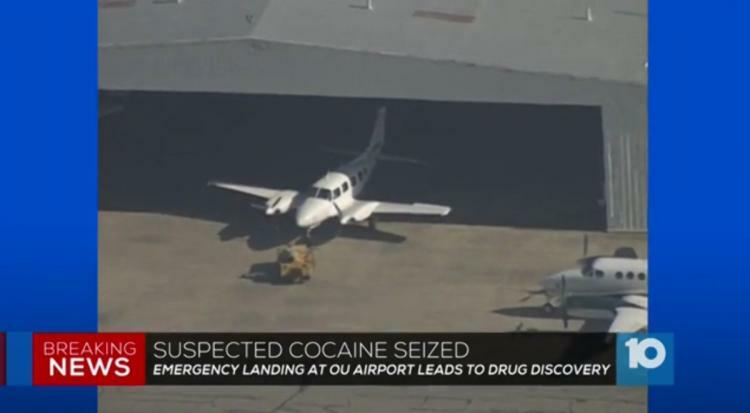 Ohio University Police said drugs have been seized from an unauthorized aircraft that landed at the Ohio University airport Wednesday afternoon. According to Ohio University Police, they were notified by Homeland Security that an international aircraft was landing at the airport without proper authorization around 2:30 p.m.
Police said the pilot of the aircraft told officials he was traveling through United States airspace when a mechanical problem forced him to land. Because Ohio University airport is not a port of entry, Customs and Border Protection requested those on the plane to be detained until federal agents could respond. 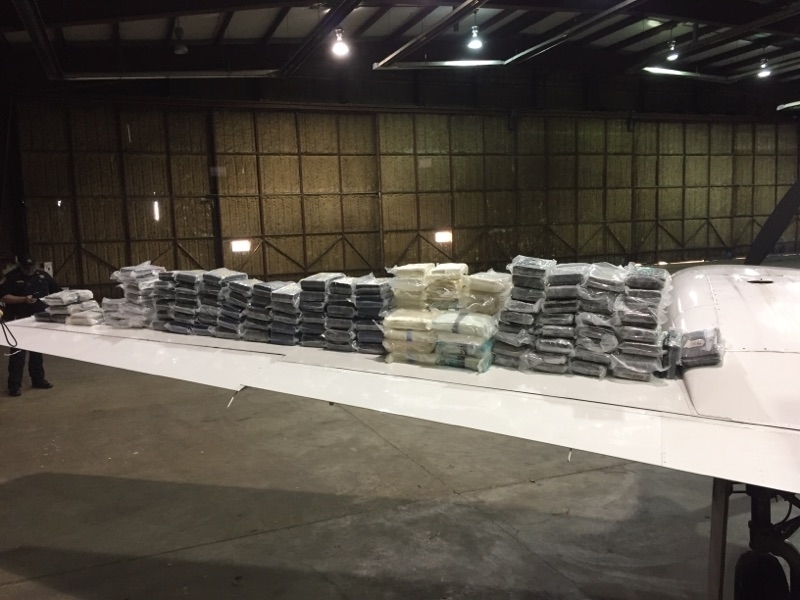 Through a joint investigation, authorities located a ‘significant quantity’ of suspected cocaine concealed in the aircraft, according to Ohio University Police. The two suspects and the contraband were taken into custody by Homeland Security. 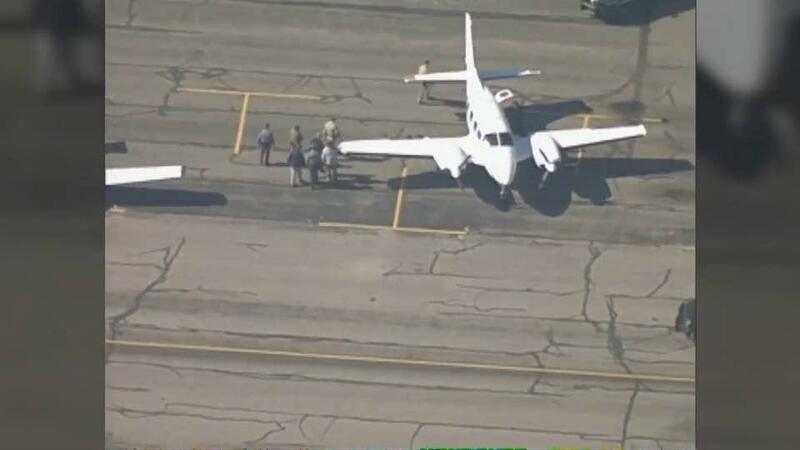 ALBANY, Ohio – Authorities found illegal drugs on board a plane that landed at Ohio University's airport on Wednesday. The U.S. Department of Homeland Security notified Ohio University police and the Athens County Sheriff's Office that an international plane was landing at Gordon K. Bush Ohio University Airport without authorization Wednesday afternoon. OU police said the pilot reported a mechanical problem, which forced him to land unexpectedly. Officers detained the two people on board until U.S. Customs and Border Protection agents arrived since the airport is not a place of entry into the United States. 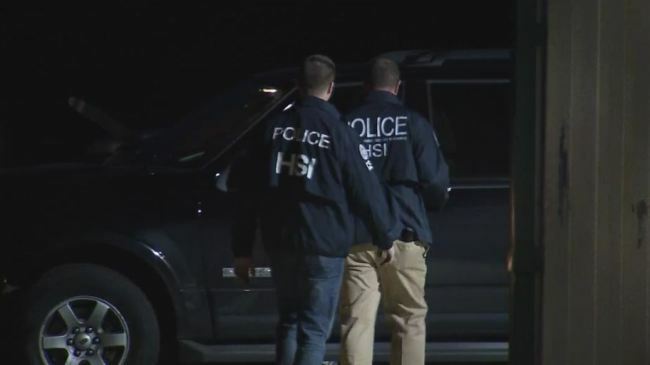 Homeland Security said investigators recovered 132 kilos, or 291 pounds, of cocaine from the plane, according to WBNS in Columbus. Agents took the two suspects into custody. Homeland Security is now in charge of the investigation. ATHENS, OH (WCMH) – The Department of Homeland Security, Ohio State Highway Patrol and Athens County Sheriff’s Office responded to the Ohio University Airport after an ‘unauthorized plane’ landed. It happened Wednesday afternoon at Gordon K. Bush Airport in Albany, Ohio. Athens County Sheriff Rodney Smith said his office detained the plane after it landed until Homeland Security and the Highway Patrol could respond. Ohio University police issued the following statement regarding the incident. 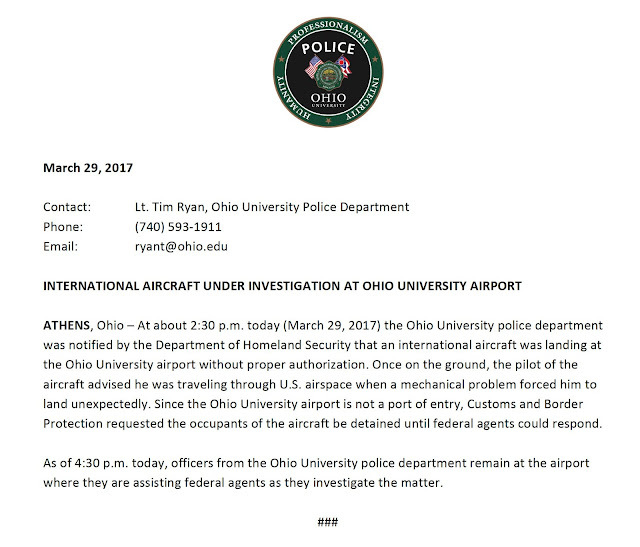 At about 2:30 p.m. today (March 29, 2017) the Ohio University police department was notified by the Department of Homeland Security that an international aircraft was landing at the Ohio University airport without proper authorization. Once on the ground, the pilot of the aircraft advised he was traveling through U.S. airspace when a mechanical problem forced him to land unexpectedly. 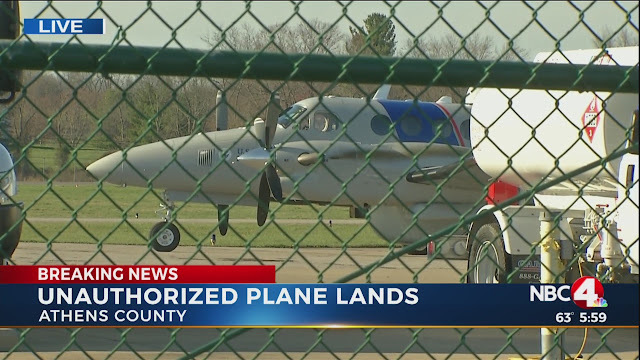 Since the Ohio University airport is not a port of entry, Customs and Border Protection requested the occupants of the aircraft be detained until federal agents could respond. As of 4:30 p.m. today, officers from the Ohio University police department remain at the airport where they are assisting federal agents as they investigate the matter. The pilot was receiving instruction in the tailwheel-equipped airplane. He reported that, during the landing roll, the airplane turned left and that he “over corrected with too much right rudder.” He added that the airplane ground looped, exited the runway to the right, and came to rest in a nose-down attitude. The airplane sustained substantial damage to the firewall. The pilot receiving instruction’s overcorrection with rudder during the landing roll, which resulted in a ground loop and runway excursion. Contributing to the accident was the flight instructor’s delayed remedial action. The pilot receiving instruction in a tailwheel-equipped airplane reported that during the landing roll the airplane turned left and he "over corrected with too much right rudder". He added that the airplane ground looped, exited the runway to the right, and came to rest in a nose down attitude. The private pilot reported that, during the landing roll, he had traveled about halfway down the 2,355 ft-long runway when he realized that a go-around was going to be required. He could not recall the airplane’s airspeed when the airplane touched down on the runway that was located steps from the ocean. However, he did recall that he initiated the go-around by applying full throttle, retracting the flaps to 0, and rotating at 62 knots. 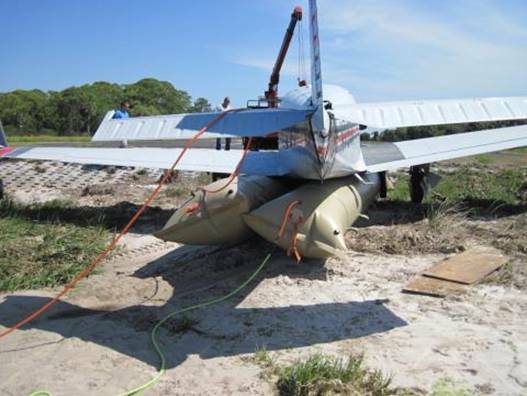 The airplane “lifted off but did not gain altitude.” The pilot lowered the nose to accelerate, but the airplane stalled and impacted the water. 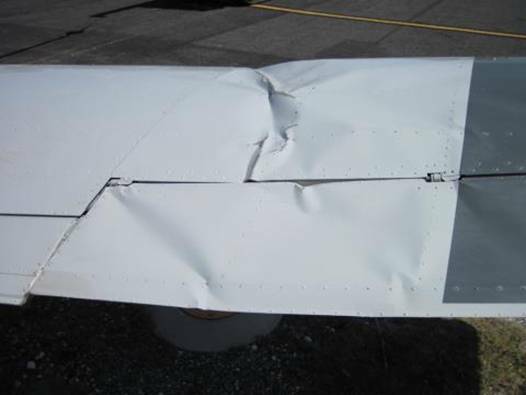 The airplane sustained substantial damage to the right wing spar and aileron. To minimize control wheel forces during go-around, timely nose-down trimming is recommended to counteract nose up pitching moment as power is increased and/or flap retraction. The pilot’s failure to follow the manufacturer’s go-around procedure, which resulted in an aerodynamic stall. 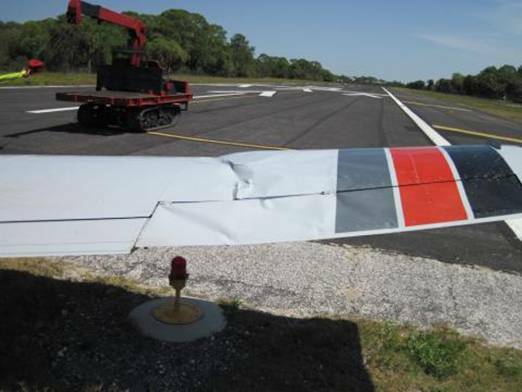 The private pilot reported that during the landing roll, he had traveled about half of the distance down the 2,355 ft. runway and he realized that a go-around was going to be required. He could not recall the airplane's airspeed when the airplane touched down on the runway that was located steps from the ocean. However, he did recall that he initiated the go-around by applying full throttle, retracting the flaps to zero and rotating at 62 kts. 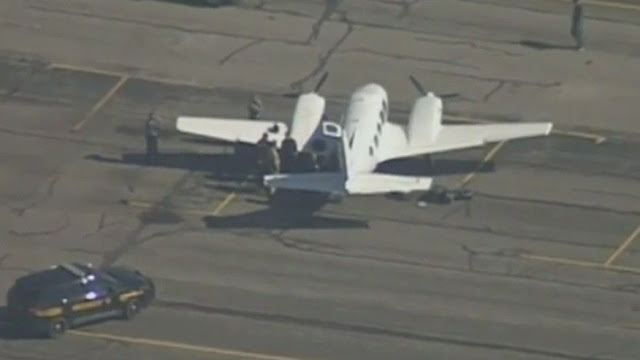 The airplane "lifted off but did not gain altitude." 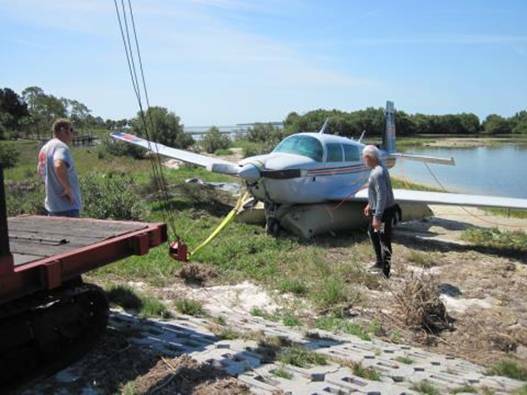 The pilot lowered the nose to accelerate, but the airplane stalled and impacted the water. 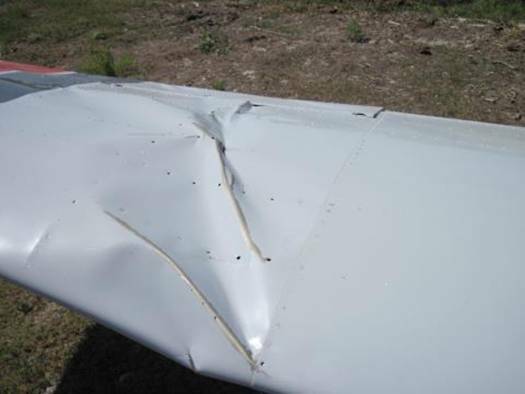 The airplane sustained substantial damage to the right wing spar and aileron. To minimize control wheel forces during go-around, timely nose-down trimming is recommended to counteract nose up pitching moment as power is increased and/ or flap retraction. PROPELLER: The prop log records an Annual Inspection on 12/08/16 at TSMOH 439.8. 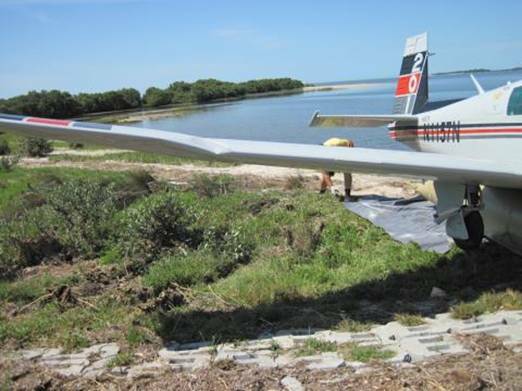 DESCRIPTION OF ACCIDENT: On 03/28/17, N1157N landed in the salt water off the departure end of the runway at Cedar Key Airport, Florida. DESCRIPTION OF DAMAGES: The aircraft was almost completely submerged in salt water through a total of four high tides, where the waterline was two inches below the cabin headliner. 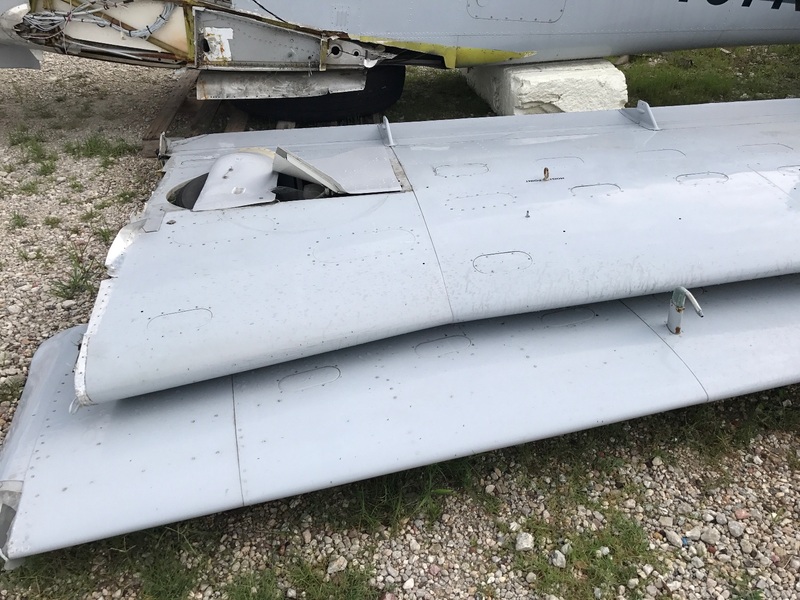 Damage also includes but may not be limited to the propeller, nose gear doors, both main gear doors, and to the right wing. 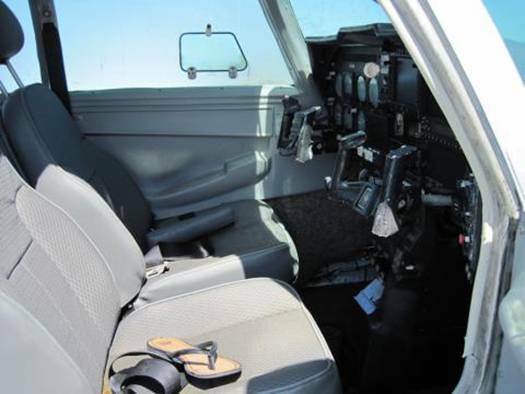 The pilot of the tailwheel-equipped airplane reported that, after landing at an airport along his route, he observed a leak from the left master brake cylinder. He added that he "wiped up [a] considerable [amount of] brake fluid from the floorboard," conducted a "thorough inspection" of the left brake, and then departed for another airport. He further reported that, during the landing roll, the airplane weathervaned into the crosswind, and he applied "full rudder and [the] application of brake found no brake available." He added that, after pumping the brakes, they began to function. The airplane veered off the runway to the right, and the left main landing gear collapsed. 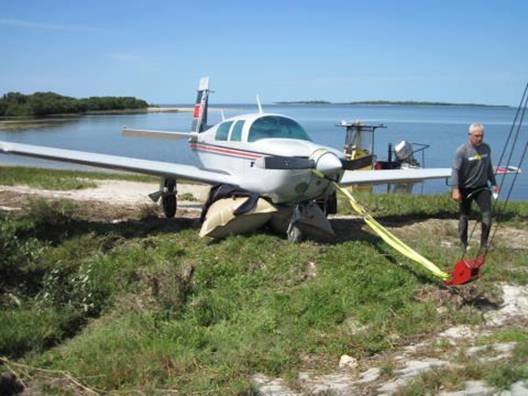 The pilot's decision to take off with a known master brake cylinder leak and his subsequent failure to maintain directional control during landing. The pilot of the tailwheel-equipped airplane reported that, after landing at an airport along his route, he observed a leak from the left master brake cylinder. He added that he "wiped up [a] considerable [amount of] brake fluid from the floorboard", did a "thorough inspection" of the left brake, and then departed for another airport. He further reported that, during the landing roll at the accident airport, the airplane weathervaned into the crosswind, and he applied "full rudder and [the] application of brake found no brake available". After pumping the brake, he added that, they began to function. The airplane veered off the runway to the right and the left main landing gear collapsed. 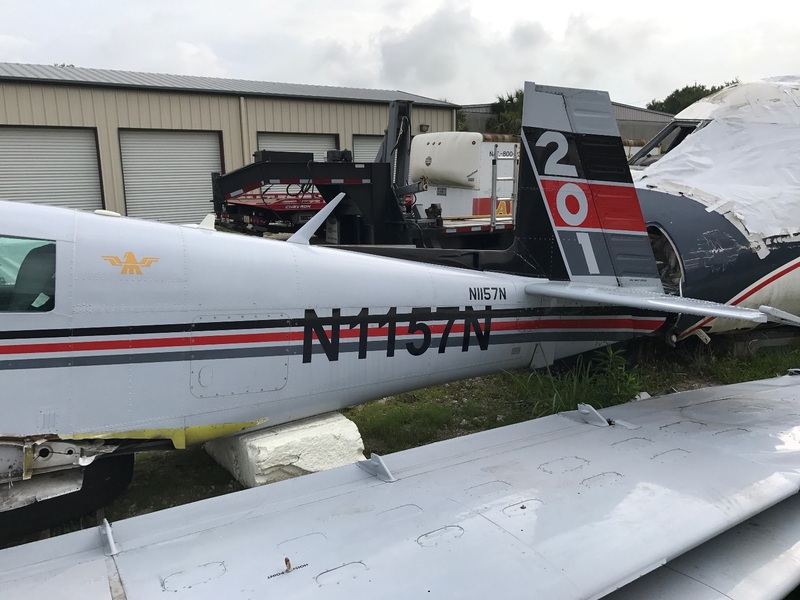 On March 28, 2017, at 0615 central daylight time, a Mooney M20J, N643RJ, was substantially damaged when it collided with trees and terrain shortly after takeoff from Monroe County Airport (M40), Aberdeen, Mississippi. The airline transport pilot, who was also the owner of the airplane, and one passenger were fatally injured. The airplane was operated under the provisions of 14 Code of Federal Regulations Part 91 as a personal flight. Night visual meteorological conditions prevailed near the accident site at the time of the accident, and an instrument flight rules flight plan was filed for the flight destined to Bruce Campbell Field Airport (MBO), Madison, Mississippi. The pilot and passenger departed M40 at 0614 for the approximate 1-hour flight to MBO. Weather conditions at the time of the takeoff included a broken ceiling at 1,800 feet above ground level (agl) and an overcast ceiling at 2,400 feet agl. The temperature was 18° C and the dew point was 18° C.
Video recorded by the M40 airport security system showed dark light conditions at the time of the accident, but it did not show the airplane takeoff; however, audio captured the airplane on the takeoff roll, during initial climb and through the accident sequence. The sound of the engine remained constant through the 1-minute flight, until sound consistent with the airplane impacting with trees was heard. Review of radar data from Columbus Air Force Base (CBM), Columbus, Mississippi, located 15 miles south of M40, revealed four targets associated with the accident airplane. The first target indicated that the airplane was 400 feet mean sea level (msl) at a ground speed of 70 knots. The next two targets indicated that the airplane climbed to 600 feet msl at 70 knots, before the last target corresponded with a descending right turn at 500 feet msl. The wreckage was located 2,500 feet west-southwest of the departure end of runway 18, in heavily wooded terrain. The wreckage path was oriented in a southeast to northwest direction and was approximately 400 feet long. 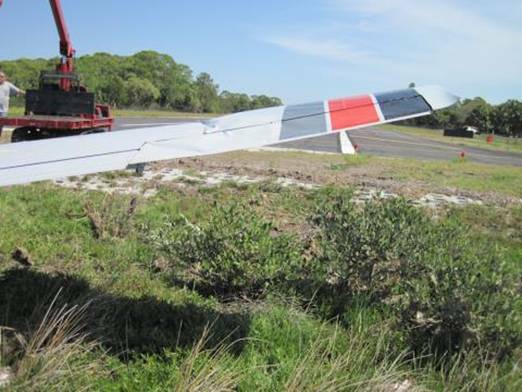 Initial examination of the wreckage revealed that the airplane struck the tops of the trees in a right wing low attitude. The right wing was separated and discovered at the initial point of impact. Trees near the impact site were progressively cut lower as the airplane continued forward. Several trees and branches near the final ground impact point displayed cuts consistent with contact with propeller blades. One propeller blade was was found 50 feet north of the wreckage. The wings and tail were separated and the top one-third of the cockpit area was removed. The fuselage came to rest inverted against a tree in a 45° angle. The engine remained attached to the firewall and the propeller flange and one propeller blade remained attached to the engine. 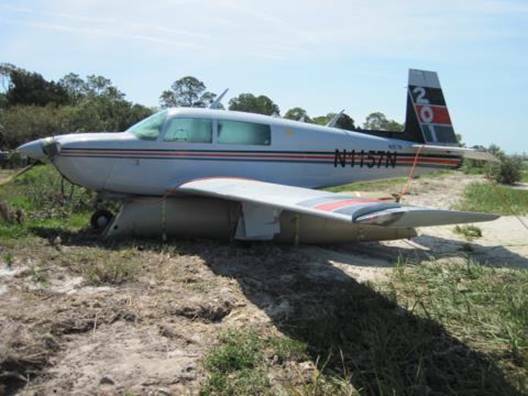 The pilot held an airline transport pilot certificate with a rating for airplane multiengine land. He also held a commercial pilot certificate with ratings for airplane single-engine land, airplane single-engine sea and glider. Additionally, he held a flight instructor certificate with ratings for airplane single-engine, airplane multiengine and instrument airplane. His most recent second-class medical certificate was issued on March 9, 2017. At that time, the pilot reported a total flight experience of 20,000 hours. The airplane was a single-engine, low-wing, four-place airplane with a 200-horsepower fuel injected four-cylinder engine and two blade constant-speed propeller. The airframe and engine had accumulated a total time of 2,873 hours and 908 hours since major overhaul, respectively. The airplane's most recent annual inspection was performed on March 23, 2017. When Dee Dee Larson was a little girl, her stepfather, Richard Justice, used to take her flying. They didn't drive to the beach or to visit family in Birmingham, Alabama -- they flew on Justice's planes. The 72-year-old lifelong Hatley resident had flown his entire adult life -- first as a crop duster, then as a commercial pilot for various companies in and around Mississippi. Even after his "retirement" a few years ago, Larson, who now lives in Starkville, said her stepfather kept flying one-off trips for nearby companies, as well as his own planes. He had two, which he proudly kept in a hangar near his home, she said. "Flying was his passion," Larson said. 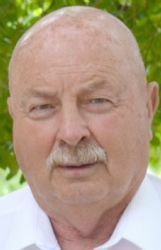 Justice passed away Tuesday morning when his single-engine plane crashed a mile from the Monroe County Airport on Votech Road between Amory and Aberdeen. The crash killed both Justice and his Lowndes County passenger, a Columbus business owner that authorities have not yet identified due to the family's wishes. Justice and his passenger took off from the Monroe County Airport at 6:14 a.m. on their way to Madison. 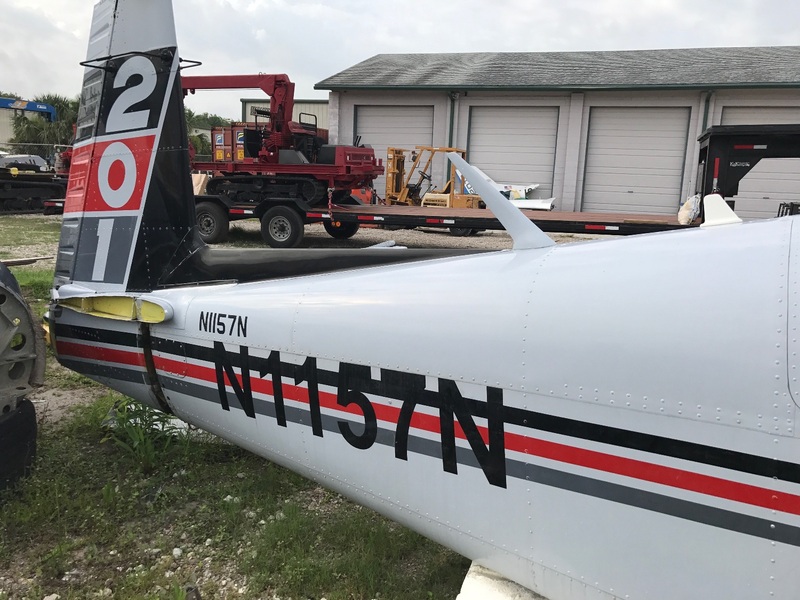 The plane crashed at about 6:20 a.m., while Monroe County Sheriff Cecil Cantrell said it appeared Justice was attempting to return the plane to Monroe County Airport. Cantrell and one of his deputies found the crash site a little after 11 a.m. The scene was roped off and authorities from the Federal Aviation Administration are on their way to investigate, he said. Authorities don't yet know the reason for the crash. Justice's body was sent to the State Medical Examiner's Office in Pearl. Preliminary findings from Justice's autopsy in Jackson indicate he died from trauma from the crash and not from any medical condition, according to Monroe County Coroner Alan Gurley. It's not something that either Larson or her stepsister Kim Hays ever expected would happen. "He was just such a meticulous person," said Hays, who lives in Birmingham. Still, both Larson and Hays said it was the way he would have wanted to go. Larson's father had died when she was just a baby, and Justice married her mother when Larson was 4. Ever since, Justice was her dad, Larson said. "He's never treated me any differently than his two other children," Larson said. Both she and Hays remember him taking them on joyrides in his planes growing up. Once when Hays was 12 or 13, she had a friend over while Justice was watching football, and the two of them began badgering Justice to take them for a ride. "We just kept on, 'Daddy, take us flying, take us flying,'" Hays remembered. Justice was outgoing, cheerful and funny, they said. He loved telling stories, making people laugh and -- according to Larson -- embarrassing his children. "He was a really great storyteller," Hays said. "He had a repertoire of stories. ... He was just really a people person. He loved people." Larson emphasized her stepfather was one of the best pilots in the area. He worked for years as a commercial pilot first for Amory Garment, then for North American Classics out of Jackson and last from Stanley Smith Drywell in Alabama. He also was a flight instructor. Even after his retirement as a commercial pilot from Stanley Smith Drywall about four or five years ago, he would fly at least once a week. "We would say, 'Daddy, you're 73, you need to retire'," Hays said. "He would say, 'No, I don't want to. This is what I love to do.'" Larson said her family is keeping the family of the deceased passenger in their thoughts and prayers. The passenger of a Tuesday plane crash at the Monroe County Airport will be laid to rest Friday. John K. Nuesch, 64, of Columbus, was a passenger in the small plane that crashed shortly after takeoff from the Monroe County Airport. His graveside service will be held at 2 p.m. at Friendship Cemetery, according to Memorial Funeral Home in Columbus. Visitation will be from 12 until 1:45 p.m. at the funeral home. Nuesch was the president of American Glass Company and served on the executive board and finance committee of the Mississippi Associated Building Contractors. Arrangements for the pilot of the plane, 73-year-old Richard Justice of Hatley, are incomplete at this time. Cleveland-Moffett Funeral Home in Amory is in charge of arrangements. Investigators are still uncertain about what caused the plane crash. National Transportation Safety Board Air Safety Investigator Aaron McCarter took questions in a short press conference at the Monroe County Airport on Wednesday afternoon. McCarter, who is serving as investigator in charge, and his team arrived Tuesday night and have been working the scene. “We have no idea what happened at this time,” McCarter said. Monroe County Coroner Alan Gurley said on Wednesday the preliminary autopsy of Justice shows he died from his injuries in the crash, not any type of medical problem. The final autopsy report could take eight months, Gurley said. On March 28, 2017, about 1200 central daylight time, a Beech A36, N8169Y, was destroyed by impact and a postcrash fire following a forced landing near Dadeville, Alabama. 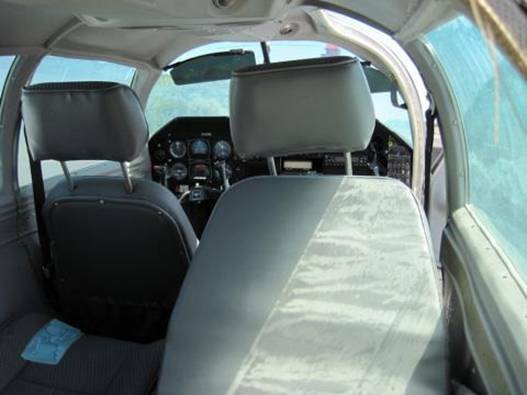 The commercial pilot and the passenger were fatally injured. The airplane was owned and operated by the pilot under the provisions of Title 14 Code of Federal Regulations Part 91.Visual meteorological conditions prevailed, and an instrument flight rules flight plan was filed for the personal flight, which departed Enterprise Municipal Airport (EDN), Enterprise, Alabama at 1118, and was destined for Upper Cumberland Regional Airport (SRB), Sparta, Tennessee. According to air traffic control and radar data from the Federal Aviation Administration (FAA), the airplane was in cruise flight about 5,000 ft mean sea level when, at 1155:06, the pilot was instructed to change from the Atlanta Approach Control frequency to the Atlanta Air Route Traffic Control Center. At 1156:00, the airplane began a descent. At 1157:07, the controller radioed the pilot; that he had not contacted Atlanta Center, and the airplane had descended nearly 1,000 ft below its assigned altitude. At 1157:11, the airplane had descended to 4,025 ft when the pilot responded to the controller and declared, "N8169Y I have a… it appears to be an engine failure…declare an emergency at this time." Over the next minute, the airplane continued a northerly track before it began a turn to the west as the controller identified the closest public airport, private strip, state highway, and open areas for potential forced landing sites, which the pilot acknowledged. At 1158:59, the airplane was tracking westbound at 1,500 ft and 86 knots groundspeed when the pilot announced, "Atlanta 69Y it looks like I'm coming down…"; he added that he did not have a runway in sight. There were no further communications from the pilot. The last radar target at 1159:34 showed the airplane on a westerly track over densely wooded terrain at 874 ft and 77 knots groundspeed. According to FAA records, the pilot held commercial pilot and flight instructor certificates with ratings for rotorcraft-helicopter and instrument helicopter. He held a private pilot certificate with ratings for airplane single-engine land and instrument airplane. The pilot's most recent FAA second-class medical certificate was issued November 3, 2016. He declared 11,500 total hours of flight experience on that date. In July 2016, the pilot declared to his insurance company that he had 11,000 total hours of flight experience, of which 1,000 hours were in airplanes. 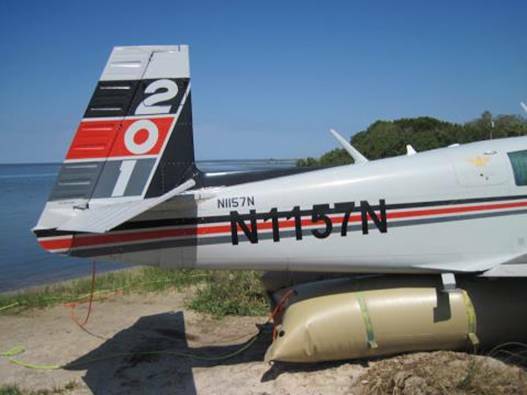 The six-seat, single-engine, low-wing, retractable-gear airplane was manufactured in 1977 and was equipped with a Continental Motors 300-horsepower reciprocating engine. Copies of aircraft maintenance records were provided by the pilot's family and the maintainers of the airplane for the 10 years before the accident. Review of the records revealed that the airplane's most recent annual inspection was completed on May 5, 2016 at 4,006.7 total aircraft hours. The previous annual inspection, dated May 5, 2015 at 3,993 total aircraft hours, included the removal and reinstallation of the engine. The engine was removed and the propeller was replaced due to a propeller-strike event. The 1155 automated weather observation at Thomas C. Russel Field (ALX), 14 miles northwest of the accident site, included scattered clouds at 2,500 ft, 10 statute miles visibility, and wind from 270° at 6 knots. The temperature was 24°C, the dew point was 18°C, and the altimeter setting was 30.03 inches of mercury. The airplane was examined at the accident site about 650 ft elevation and all major components were accounted for at the scene. The wreckage path was about 140 ft in length and oriented on a magnetic heading about 320°. The initial impact point was in trees about 30 ft above the ground. Most tree trunks displayed blunt fractures, but some displayed clean, angular cuts. Tree trunk and branch sections 4-6 inches in diameter displayed angular cuts and were scattered along the wreckage path. The main wreckage was inverted, faced opposite the direction of travel, and was consumed by postcrash fire. Control cable continuity was established from the cockpit area to the flight control surface attachment points. The flap actuator position was consistent with a flaps-retracted position. The elevator trim actuator position was consistent with a 10° tab-down position. The landing gear was retracted. The fuel selector was set fully in the right-tank position. Examination of the engine revealed that all accessories were destroyed by fire except for the engine-driven fuel pump. The 3-bladed propeller was attached at the hub, but damaged by impact and fire. One propeller blade was loose at the hub. The engine-driven fuel pump was removed and its driveshaft was intact and rotated freely. The fuel inlet screen was removed and was absent of debris. The spark plugs were removed and showed normal wear and coloration. The engine could not be rotated by hand. The examination was suspended and completed later under the supervision of an FAA airworthiness inspector at the manufacturer's facility in Mobile, Alabama. Disassembly of the engine revealed extreme-to-minor thermal damage both externally and internally. Aside from the thermal damage, there were no indications of pre-impact mechanical anomaly that would have precluded normal operation. The engine displayed normal wear and lubrication signatures throughout, including those rotating parts inspected at the 2015 sudden-stoppage inspection. The pilot was transported to Atlanta, Georgia, for treatment of the injuries to which he ultimately succumbed. Postmortem examination and toxicology testing was not performed. An NTSB National Resource Specialist (Aircraft Performance) examined the Automatic Dependent Surveillance–Broadcast (ADS-B) data, performance parameters computed from the ADS-B data, and theoretical zero-thrust glide trajectories based on best-glide performance data published in the Pilot's Operating Handbook to plot potential trajectories for the airplane from the assumed point of engine power loss. The plots were based on an estimated gross weight of 3,400 lbs and speeds ranging between best glide (110 knots calibrated airspeed [KCAS]) and the lowest estimated airspeed of 80 KCAS. 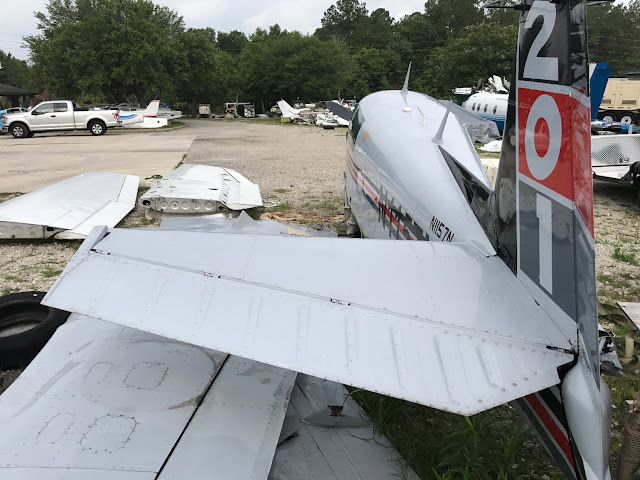 The actual ground track of the airplane revealed that, about the time of the loss of engine power, an abandoned airport (Camp Hill-Tallapoosa County) was directly abeam the airplane, about 1 mile east. The airport was not depicted on the visual flight rules sectional navigation chart current at the time, nor was it visible to the air traffic controller who was in communication with the pilot. The ground track of the airplane bisected U.S. Highway 280W, a four-lane, divided highway which was oriented northwest-southeast at the point of the airplane's crossing. The grass median that divided the east and west-bound lanes averaged about 50 ft wide for several miles on either side of the ground track. The ground track also traversed several open fields and a railroad track before it terminated over wooded terrain. The potential trajectories plotted also traversed and reached open fields in all directions surrounding the estimated point of the power loss. 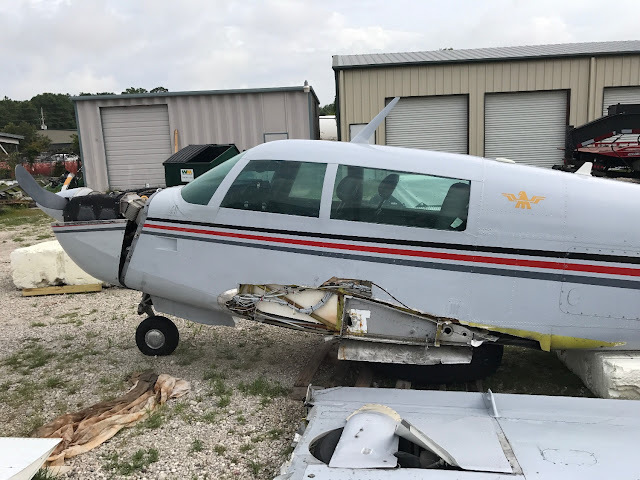 On March 28, 2017, about 1200 central daylight time, a Beech A36, N8169Y, was destroyed by impact and a postcrash fire following a forced landing near Dadeville, Alabama. The commercial pilot, who was also the owner of the airplane was seriously injured, and the passenger was fatally injured. Visual meteorological conditions prevailed, and an instrument flight rules flight plan was filed for the personal flight which was conducted under the provisions of 14 Code of Federal Regulations Part 91. The flight departed from Enterprise Municipal Airport (EDN), Enterprise, Alabama at 1118, and was destined for Upper Cumberland Regional Airport (SRB), Sparta, Tennessee. According to preliminary air traffic control (ATC) and radar data obtained from the Federal Aviation Administration (FAA), the airplane was in cruise flight about 5,000 feet msl when it began a descent about 1156. At 1157:11, the airplane had descended to 4,025 feet msl when the pilot contacted ATC and declared, "N8169Y I have a… it appears to be an engine failure… declare an emergency at this time." Over the next 1 minute, the airplane continued on a northerly track before it began a turn to the west as the controller identified the closest public airport, private strip, state highway, and open areas for potential forced landing sites, which the pilot acknowledged. At 1158:59, the airplane was tracking westbound at 1,500 feet msl and 86 knots groundspeed when the pilot announced, "Atlanta 69Y it looks like I'm coming down…" and that he did not have a runway in sight. There were no further communications from the accident airplane. At 1159:34, the last radar target was observed on a westerly track over densely wooded terrain at 874 feet msl and 77 knots groundspeed. 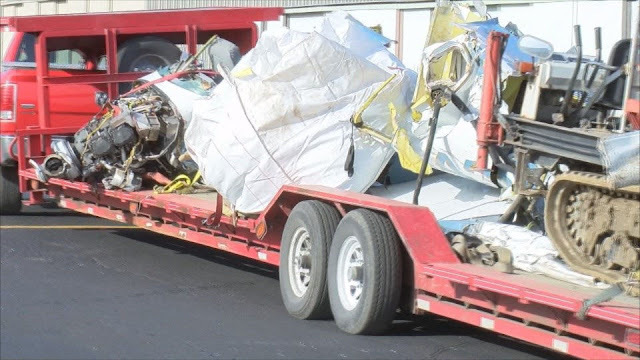 According to FAA airman records, the pilot held a commercial pilot and flight instructor certificates with ratings for rotorcraft-helicopter and instrument helicopter. He held a private pilot certificate with ratings for airplane single engine, and instrument airplane. The pilot's most recent FAA second-class medical certificate was issued November 3, 2016. He declared 11,500 total hours of flight experience on that date. In July of 2016, the pilot declared to his insurance company that he had 11,000 total hours of flight experience, of which 1,000 hours was in airplanes. The 1155 automated weather observation at Thomas C. Russel Field (ALX), 14 nautical miles northwest of the accident site, included scattered clouds at 2,500 feet agl, 10 statute miles visibility, and wind from 270° at 6 knots. The temperature was 24° C, the dew point was 18° C, and the altimeter setting was 30.03 inches of mercury. The airplane was examined at the accident site, about 650 feet elevation, and all major components were accounted for at the scene. The wreckage path was about 140 feet in length, and oriented about 320°. The initial impact point was in trees about 30 feet above the ground. Most tree trunks displayed blunt fractures, but some displayed clean angular cuts. Tree trunk and branch sections displaying angular cuts were scattered along the wreckage path. The main wreckage was inverted, faced opposite the direction of travel, and was consumed by postcrash fire. Control cable continuity was established from the cockpit area to the flight control surface attachment points. The flap actuator position was consistent with flaps set at 0°. The elevator trim actuator position was consistent with a 10° tab down position. The landing gear was retracted. The fuel selector was in the right-tank position. Examination of the engine revealed that all accessories were destroyed by fire except for the engine-driven fuel pump. The three-bladed propeller was attached at the hub, but damaged by impact and fire. One propeller blade was loose in its hub. The engine-driven fuel pump was removed and its driveshaft was intact and rotated freely. The fuel inlet screen was removed, and was absent of debris. The spark plugs were removed and showed normal wear and coloration. The engine could not be rotated by hand, and was retained for further examination. Photo of David Currier from family Facebook page. Undated (WTVY)- The pilot of a small aircraft that crashed, killing his wife, has died. David Currier’s passing was confirmed by his daughter on social media and Sunset Funeral Home owner Robert Byrd who will handle funeral arrangements. The single engine plane piloted by Currier crashed March 28 near Dadeville, AL, about a mile from U.S. 280. 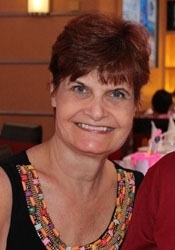 Jeanette Currier was pronounced dead at the scene while David Currier was flown by helicopter to Georgia hospital. The flight originated at Enterprise Airport. The couple lived in Daleville. 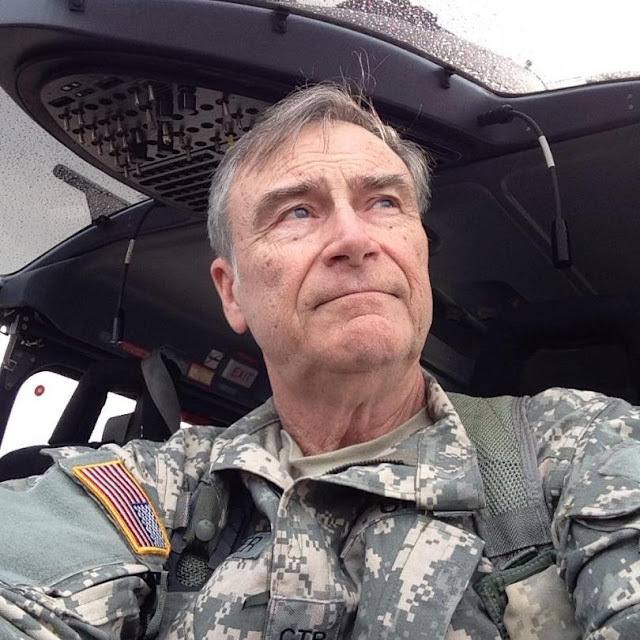 Currier retired from the U.S. Army and served as an instructor pilot. The cause of the crash is pending a federal investigation. ALEA Special Agent David Williams speaks about Tuesday’s rescue. 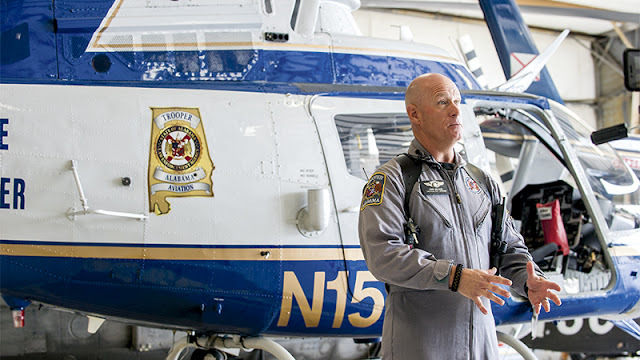 Williams also explained the aviation unit’s training and mission Wednesday in Montgomery. 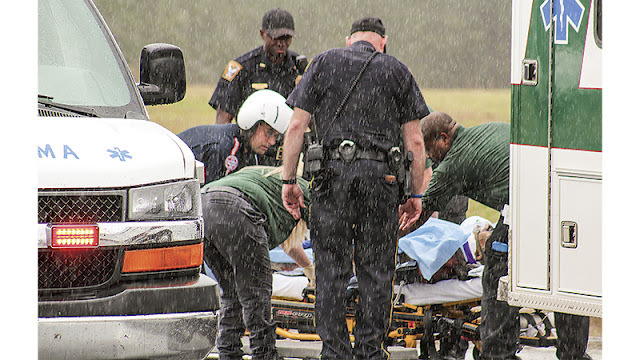 Despite the tragedy of Tuesday’s plane crash near Dadeville, heroes emerged. This time the Tallapoosa County Sheriff’s Department and other first responders were helped out by the Alabama Law Enforcement Agency’s Aviation Unit with a long line rescue of pilot David Lee Currier of Daleville. For Alabama Law Enforcement Agency Special Agent David Williams, the rescue was one of the most intense the unit has been involved in. It was also a unique rescue but not something the unit could’t do. Tuesday’s rescue featured most of the unit’s missions, first search, rescue and then extraction. From there Williams explained that the rescue started to get unique. Williams explained the area would not have made for an easy removal of a survivor. Rescuers explained that it appear the pilot might have removed his wife from the wreckage and was able to keep the flames at bay around where they laid until help arrived. That help came from Williams and the flight team above. They guided local law enforcement to the site. “It was very rural, like logging timber country,” Williams said. “There was no road access to where the aircraft went down. The aviation unit is constantly training for such events and Williams said it takes a while before a rescuer can swing on the long line. “There is extensive training that goes with it,” Williams said. “We start by getting comfortable with the equipment and safety around the helicopter. In addition to rescues like Tuesday’s aircraft crash, the aviation unit carries out other search and rescues by doing searches for missing dementia patients, Alzheimer’s patients or autistic children. Williams explained that many of the unit’s missions have an instant gratification. Officials from the Federal Aviation Administration and National Transportation Safety Bureau spent Wednesday combing through the wreckage of an airplane crash in a remote area near Dadeville, searching for clues into what caused the plane to go down. The crash, which occurred just before 1 p.m. Tuesday, claimed the life 66-year-old Jeannette Carol Currier of Daleville and her husband who was the pilot of the single-engine Beechcraft Bonanza is clinging to life. David Lee Currier, 67, was flown from the wreckage after a daring long-rope rescue by Alabama Law Enforcement Agency Troopers. He was flown to Columbus Medical Center where he was stabilized before being taken to Atlanta’s Grady Memorial Hospital, which houses one of the Southeast’s top burn units. Tallapoosa County Sheriff Jimmy Abbett said that Currier is listed in critical, but stable condition. Abbett said that information he received Wednesday morning indicated that while the pilot had a long road ahead, there was hope that Currier may recover. Abbett said the initial alert came in just before 1 p.m. after the Tallapoosa County Sheriff’s Department received a call that a plane may be in distress over Tallapoosa County. ALEA helicopters were dispatched and were able to get a visual of the crash scene in a remote area off Slaughter’s Crossing, not too far from the Thweatt Industrial Park. 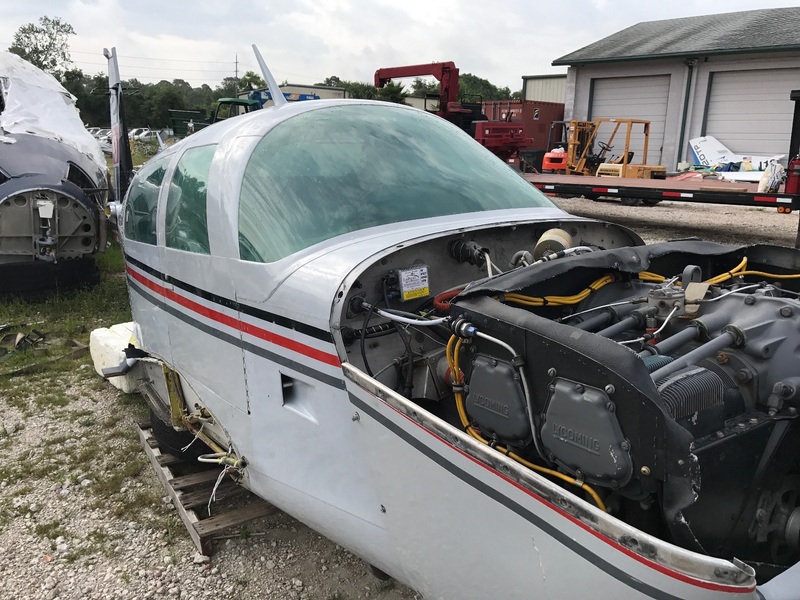 “It was a single-engine Beechcraft Bonanza that had left from Enterprise and was headed to Sparta, Tennessee,” Abbett said. “The terrain here was a problem and to get to the scene we had to hike in. That was complicated because there was a fire associated with the crash. While the results of the FAA and NTSB probe may take more than a week to complete, all signs point to mechanical failure. Online flight information suggests that the flight began to veer off course and lose altitude quickly. Data shows the plane made a sharp turn at 12:54 p.m. and then began to lose altitude at a rate of about 1,000 feet per minute. The last radar contact came at 12:59 p.m. and the plane was down to 900 feet. The plane’s airspeed also fell at a rapid rate as well. Speculation is that Currier may have turned to head toward Alexander City’s Russell Field when it went down. ALEA, the Tallapoosa County Sheriff’s Office, Dadeville Police Department, Dadeville Fire as well as Camp Hill Police Department and Alabama Forestry Service all responded to help in the recovery efforts. A plane crash on Tuesday afternoon left one local resident dead and the other with serious injuries. Tallapoosa County Sheriff Jimmy Abbett confirmed the crash that happened around 12:30 p.m. near Dadeville. 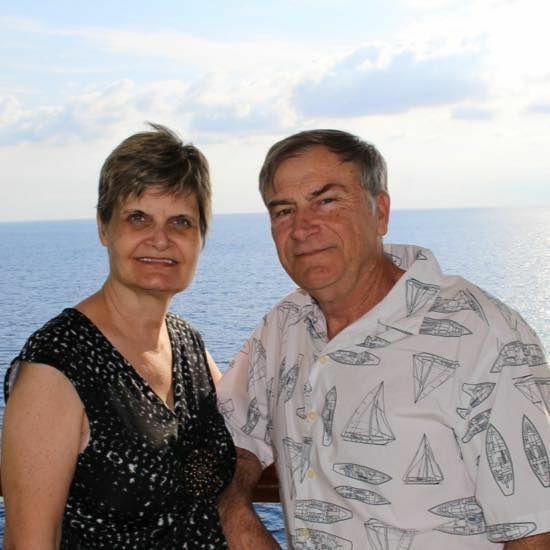 Jeanette Carol Currier, 66, and her husband , 67 year-old David Lee Currier, were traveling to Sparta, Tennessee, from Enterprise in their single-engine Beechcraft Bonanza aircraft when the plane crashed near Slaughter’s Cross Road off of U.S. Highway 280. Abbett said Jeanette Currier died at the scene. 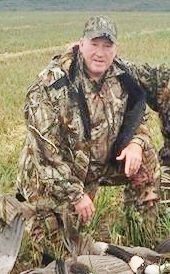 David Currier was airlifted by state helicopter to a hospital at Columbus, Georgia. David Currier retired from the Army as a CW 5, and currently works on Fort Rucker as an instructor pilot for URS contractors. According to a post on the Currier’s daughter’s social media account, the family is asking for prayers for their father who is now listed in critical condition at the burn unit in Atlanta. The post also said that Jeanette Currier was an amazing example of love, kindness, forgiveness and faith, as well as a friend, cheerleader and dream maker.